Once upon a time there was a magazine called Starlog. It was the one stop source for all things science fiction and fantasy while also being maturely written and superb value for money (in the 1990's at least). 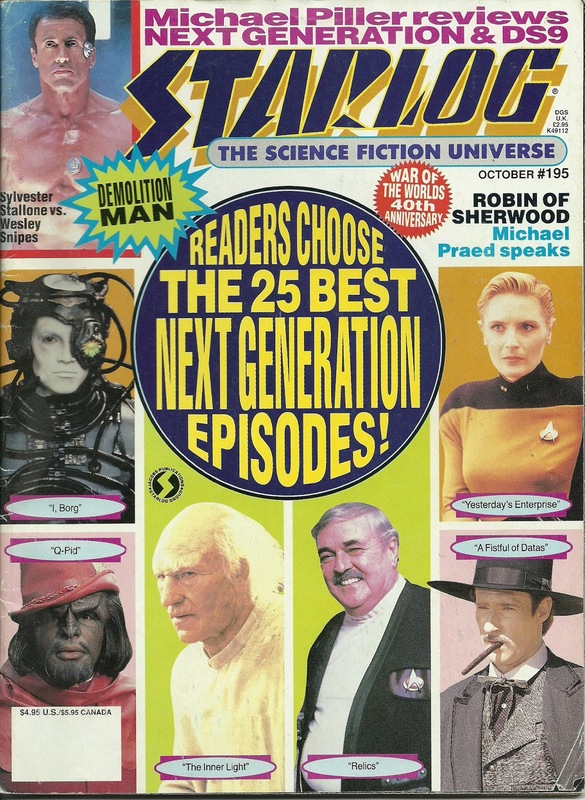 On one of my numerous loft searches for Star Trek material for SKoST I uncovered a gem of an issue of the now sadly defunct publication which featured the Top 25 episodes of The Next Generation as voted for by its readers. Published (as it states) during the sixth season when it was rumoured that those 26 episodes would be the last produced, it omits the end of that season as well as series seven from final selection. Now I find it a bit weird that this article should rear it's head from the loft just as The Best of Both Worlds plays on the big screen ahead of the blu-ray releases of The Next Generation season three and four and just after startrek.com asked fans to rate their favourite installment from a list of seven from all 178 episodes. 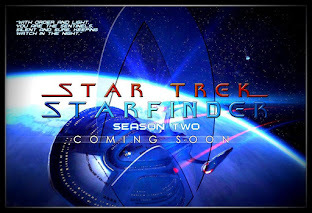 Now a few weeks ago the startrek.com result was announced and putting the two together it's actually interesting to see a few shifts have occurred over the course of just under 20 years. We have to look at this second poll from the website slightly differently because there were only six episodes to pick from, one of which wasn't even made when Starlog published the above article. 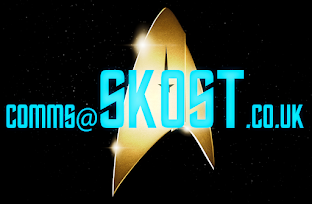 Now I actually put this piece on the backburner due to some minor movie that came out recently called Star Trek Into Darkness and it got lost in the drafts section of SKoST but someone must be telling me to publish it as this week a piece showed up on startrek.com talking about Starlog magazine. I don't think I can ignore an invitation and timing like that twice so let's take a more detailed look at what we've got here before I have to wait for something to do with countdowns or The Next Generation's 30th anniversary to hit the publish button. Now, discounting All Good Things..., it's the switch of numbers one and three that provides most interest. Remember the first survey (Starlog) was conducted in 1993. These were the days before the Borg-centric juggernaut of Star Trek First Contact, pre-Voyager, in the early days of Deep Space Nine and also pre-DVD let alone blu-ray. It seems that over 20 years, The Best of Both Worlds has withstood the test of time well to the point where it now tops the table. I would say that all those factors above have helped it climb to this position but both these polls have massive flaws which fans will no doubt be screaming at this post right now. 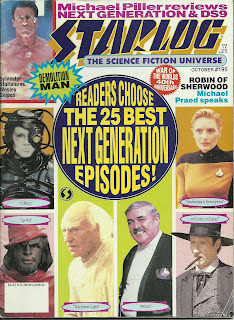 Firstly the Starlog piece was written pre-season seven and half way through the '92-'93 series. 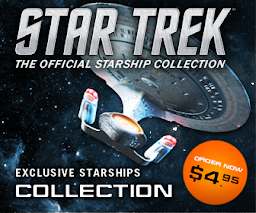 The startrek.com poll only gave a choice of six which somewhat limits the choice. When we compare the positioning of The Inner Light, Darmok and The Measure of a Man between the two results however they would be in exactly in the same places 20 years apart! I would have loved to see this 25 episode poll redone now or even just after season seven concluded. It's amazing to think that when this was produced in Starlog we had no concept of how The Next Generation was going to end or that there would be four motion pictures to follow, the second of which would have no doubt been a massive influence on the change in position for The Best of Both Worlds as would the one-night-only cinematic release of the HD version on April 25th. Are these factors that now make it preferable to the also classic Yesterday's Enterprise? Has this episode been over-watched? Has its impact lessened since 1989/90 that much that it has dropped not only from favourite but also past The Inner Light? This has always been a stalwart list topper since 1993 undoubtedly due to Patrick Stewart's performance - indeed this could also be applied to The Best of Both Worlds. 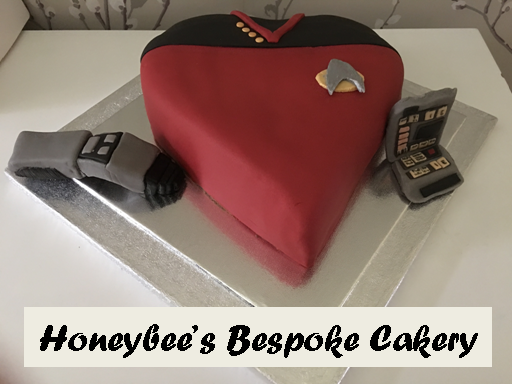 There are two more points that this raises - is The Best of Both Worlds really the best episode The Next Generation produced and also what happened to Yesterday's Enterprise? Have we fallen a bit out of love with what was once classed as the pinnacle of The Next Generation? I don't think it's quite that serious but The Best of Both Worlds is getting a lot of press at the moment so maybe letting the dust settle and doing a recount might be in order; perhaps even wait until the end of the blu-ray release of all seven seasons, then take a vote. I wonder as well if we view The Best of Both Worlds with some sort of fluffy love and reminiscence of the "good old days" of the Borg before they were (maybe) overused and revamped for Star Trek First Contact and Voyager. I actually look at the Starlog piece and wonder which episodes from those that missed the deadline would have been included and which would have lost out had this been actioned 18 months later in the gap between All Good Things... and Star Trek: Generations? I suspect that installments such as Rascals, A Fistful of Datas and The Host would have missed the cut while we might have seen at least a couple of additions such as Second Chances, The Pegasus and of course All Good Things... which would probably have made it into at least the Top Ten. I'd even question the inclusion of Deja Q in the top echelons let alone the fact that it made it into the chart in the first place - what happened to Unification for example? 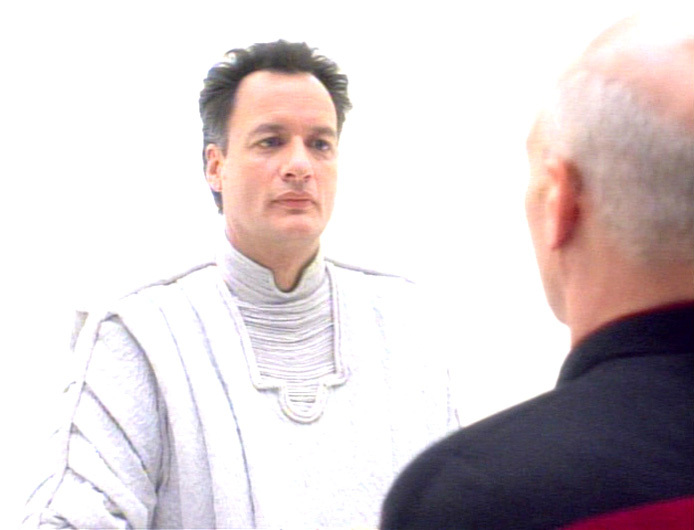 The cutoff point for "votable" episodes was Tapestry which meant that Birthright (a rewatched episode I found was better after 20 years) and all beyond were excluded. So what would I have changed at this point? Well, I would have included Conspiracy (not one first season episode made the cut, note) and possibly Unification II. 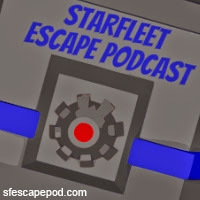 It's hard to try and "avoid" thinking about the final season in line with a "best episodes" chart and while this doesn't tick all the boxes it's a nice slice of Star Trek history and a snapshot of opinion of one time in the life of the franchise. If we redid this poll today I'm not sure that I, Borg would rate so highly either potentially due to the large number of episodes they were featured in during the seven years of Voyager. 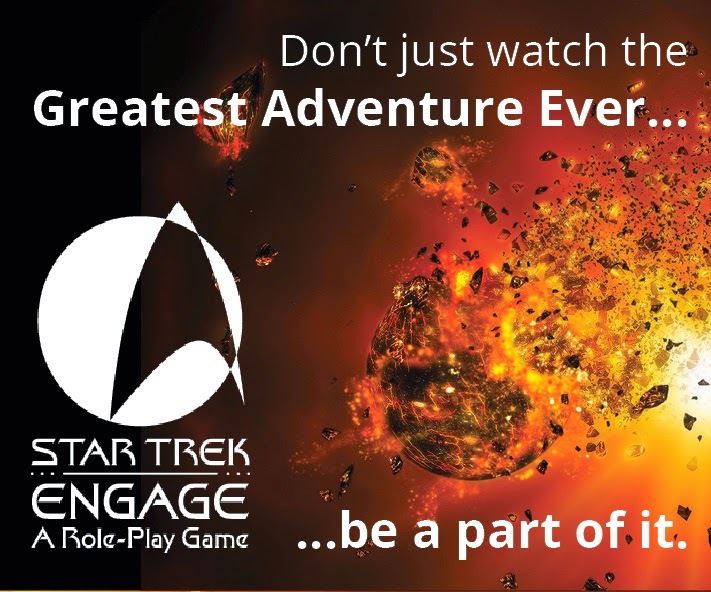 Will some of the "lower ranked" stories here carry as much weight in our Star Trek-filled hearts in the future? Even now I wouldn't choose Remember Me over something like the brilliant Tapestry. As noted that was the last episode aired before the vote which could account for both its inclusion and its lowly ranking as not everyone might have seen it by the close of the vote. One more flaw to add to the list.